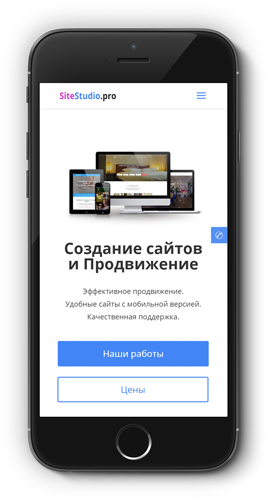 Promotion of the site’s positions in the Yandex and Google delivery. Advertising in the form of contextual ads in Yandex and Google. Promotion of positions – works aimed at raising your site in the search results of Yandex, Google and other search engines. Promotion includes the optimization of the site and has a long-term relatively stable effect, but it requires more time and costs. Advertising – allows you to immediately attract customers, paying only for transfers to your site. They are displayed in the form of ads next to the search results in Yandex, Google, and also on partner sites of search engines. daily site backup ?Daily full copy of site data, and storage of 3 daily and 3 monthly backup copies. installation and quarterly update of the SSL certificate ?To improve the security of your site and improve its promotion, we offer the release, installation and update of your SSL certificate for free! site restoration in the event of technical failures ?Works on site recovery, in case of partial loss of its functionality or complete removal caused by virus programs, hacker attacks or technical failures. 24-hour site monitoring ?Twenty-four-hour monitoring of the site and restoration of its operability in case of failure. weekly monitoring of site positions in search engines ?To determine the effectiveness of actions to promote your site, recommendations for promotion in search engines. domain management ?Controlling the timely payment of domain name renewals so that you do not lose your domain name once. free space control ?If you need to delete unnecessary files on the server and expand the disk space, you can reduce the chance of the site getting out of work. email management ?Creating mailboxes, consulting how to set up email clients and work with email interfaces. site antivirus ?Identify the virus programs that can hit the site, as well as work to remove the viruses that hit the site. update critical components ?Modules, plug-ins, add-ons, when new versions come in that fix critical vulnerabilities. preventing unauthorized access to site files ?The unauthorized access to the site files can lead to the modification of the site code in order to gain the benefit of intruders, which can completely exclude your site from search engines or make it unavailable . advanced collection of visitor information. ?Demographics, interests, behavior, visitor's mobile devices, sources of visits. Today, more than 60% of Internet users in Russia go to sites from mobile devices (according to the TNS Web Index). Therefore, it is very important that your site is convenient for viewing on phones and tablets – this not only improves the indicators of user behavior on the site and increases sales, but also helps in the promotion of the site in the search engines. We offer a full mobile version of the site without additional payment. ¹ SSL certificate, hosting and domain in zones .COM, .ORG, .NET and other, besides thematics, are free in case of use the Support service.